AE v2 will bring the biggest changes ever to the game! 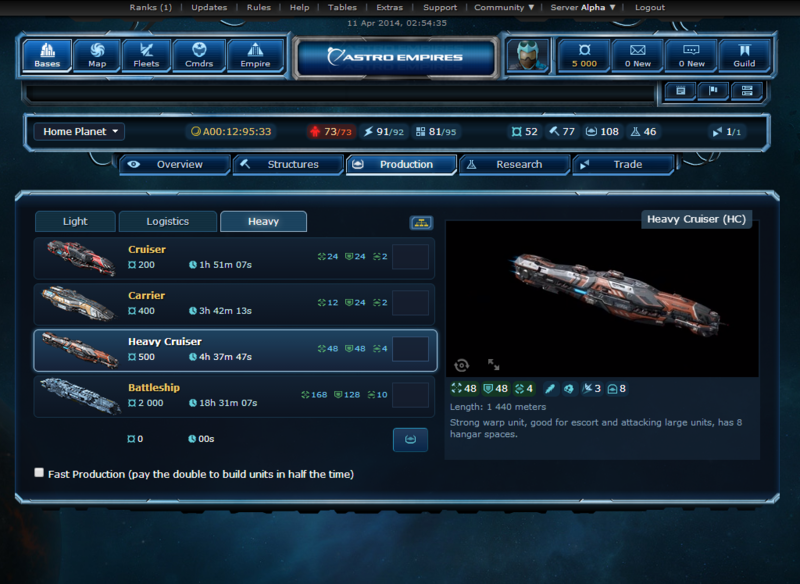 The upcoming version is design to increase the competitive gameplay and to give a new beautifull and intuitive look. Some of the new features will come to existing servers and others will be exclusive to our new servers. 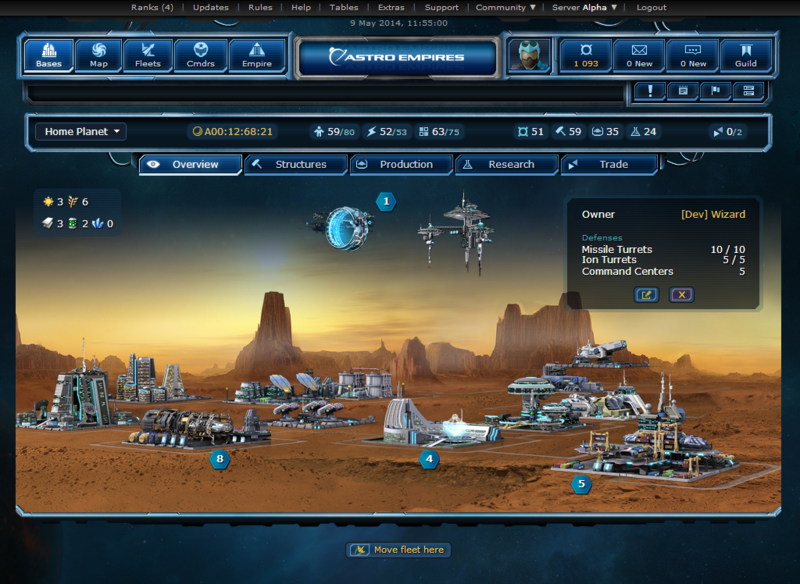 Astro Empires will be more attractive, simplier and better organized. New structure for energy making a great combo with others orbital structures and Anti-Gravity technology. This structure makes a combo with others orbital structures that don’t require area and also with the new technology Anti-Gravity to allow bases to develop a little more later on. A soft cap to fleet size, this is a game balance feature that allows servers to stay competitive more time and allows better comeback to players that lost fleet. Note: A player account credits can never go below 0 cred. Initial cost reduced from 25xp to 20xp. Level costs reduced from 2x (previous cost) to 1.5x. The initial base gets a construction boost of 40 instead of 20. If the initial base its disbanded, the second base will get this boost. Maximum members reduced from 250 to 200. 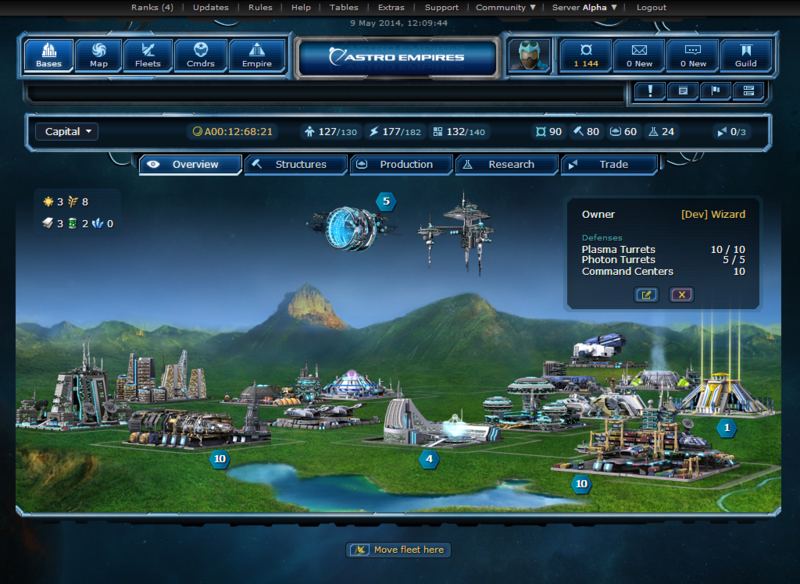 Each level of the Economic Centers increases bases economy by 4 instead of 3. Each level of the Capital increases others bases economy by 2 instead of 1. Note: The features can still suffer changes before release. Subscribe to our newsletter and receive the latest news on AE directly in your email.